We talk about using two way radios for property management. We also review the Motorola RLN4570A Break-A-Way Universal Radio Chest Pack. we discuss how apartment complexes and other property management entities use two way radios, the types of radios used, and recommend some specific models for use in this industry. Radios discussed include the Icom IC-F4011, Kenwood ProTalk TK-3230, Motorola RDU2020, Motorola CLS1110, Motorola CLS1410, and the Ritron Outpost 1 Series Callbox. For tips on using your two way radios, watch our Radio 101 video series hosted by Anthony. Today we review the Motorola RLN4570A Break-A-Way Universal Radio Chest Pack. This entry was posted in Two Way Radio Show Podcast, Business Radios, Intercoms and Call Boxes, Kenwood, Icom, Motorola and tagged UHF, VHF, Kenwood, Motorola, maintenance, RDU2020, Icom, CLS1110, CLS1410, TK-3230, Ritron, callbox, 451, Outpost, RQX, 151, XT, IC-F4011, XLS, RDX, ProTalk, F4011, security, custodial, groundskeeper, CLS, property management, apartment, golf course, staff, repair, chest pack, RLN4570A on April 5, 2013 by Rick. We just received word that Motorola plans to increase the price of their CLS Series business radios. 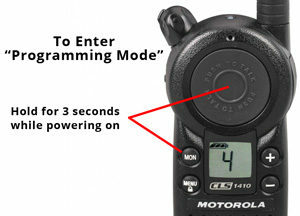 As of April 1, 2013, the prices on Motorola CLS radios will go up an additional $20 per unit. The CLS1110, which sold for $139, will be priced at $159 and the CLS1410, which was $159, will retail for $179. If you are planning to purchase Motorola CLS radios for your operations or add to an existing fleet, it may be wise to do it by March 31, 2013, before the price increase goes into effect. It may save you some serious cash, especially on large purchases. There is another good reason to buy now, before the price increase. Motorola is currently running a Free Radio promotion at Buy Two Way Radios: Buy six radios, get one FREE! For every six radios purchased, you will receive one free radio from Motorola, with a maximum of 10 free radios on a maximum purchase of 60 units! Of course, you can still take advantage of the free radio promotion after the price increase; the promotion will continue until June 30, 2013. However, given the fact that the cost of each radio will be $20 more after April 1, the increase will likely negate any additional savings you may receive from the promotion at the current prices. Considering this, a purchase now may be a real bargain in the long run. If you have any questions about the price increase or the free radio promotion, please call us at 800-584-1445, e-mail us or enter our live chat at Buy Two Way Radios weekdays from 8 AM to 6 PM ET. This entry was posted in News and tagged radio, radios, Business, Motorola, CLS1110, CLS1410, CLS, price, increase on March 21, 2013 by Rick. 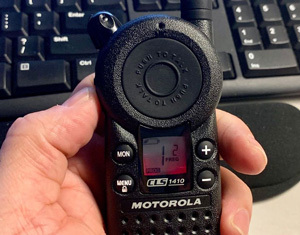 There may be a situation in which you need to reset your Motorola CLS1110 or CLS1410 two way radio back to its original factory configuration. 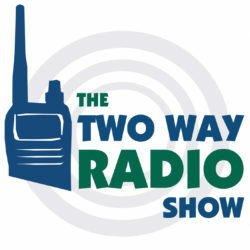 In this episode of Radio 101, Anthony from Buy Two Way Radios will show you how to do it in one simple step. This entry was posted in Radio 101 and tagged radio, two-way, 2way, Motorola, CLS1110, CLS1410, Series, Radio 101, walkie-talkie, reset, CLS on February 18, 2013 by Rick. We talk about using two way radios in dental offices. We also review the Icom IC-F4161 / F3161 Series two way radios. Today we'll talk about using two way radios in dental offices. We'll discuss how dentists use radios, the types of radios used, and recommend some popular radios used by dentists. Radios discussed include the Motorola CLS1110, Motorola CLS1410, CLP1010, CLP1040, CLP1060 and Kenwood ProTalk XLS (TK-3230) Business Two Way Radio. Hear our review on the Motorola CLP1060 in TWRS-35 - Radios For The Warehouse. For more information read our blog article Two Way Radios For Dental Offices. Today we review the Icom F4161 / F3161 Two Way Radio Series. For more information about intrinsically safe two way radios listen to TWRS-18 - Intrinsically Safe Radios. © 2012 Cricket Ventures, LLC. All rights reserved. This entry was posted in General, Two Way Radios, Two Way Radio Show Podcast, Business Radios, Kenwood, Icom, Motorola and tagged UHF, VHF, Kenwood, Motorola, Icom, CLP1040, CLP1010, CLS1110, CLS1410, TK-3230, intrinsically safe, XLS, CLP1060, Bluetooth, ProTalk, IC-F4161, IC-F3161, F4161, F3161, dental, dentist, office, hygenic, hygenist on June 18, 2012 by Rick. We discuss how two way radios are used in the retail industry. We also review the BlackBox Plus business two way radio. We talk about two way radios in retail. We discuss how they are used in the retail industry, the types of radios used and recommend some specific makes and models of two way radios for retailers. Radios discussed include the Motorola CLS1110, Motorola CLS1410, Motorola RDU2020, Kenwood TK-3230, Kenwood TK-3300 and Icom IC-F4011 business two way radios. 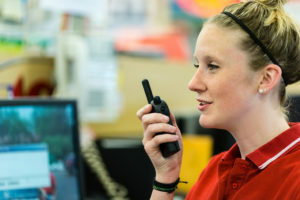 For more information about two way radios for retail use read Two Way Radios For Retail. Today we review the BlackBox Plus Two Way Radio. This entry was posted in General, Two Way Radios, Two Way Radio Show Podcast and tagged UHF, VHF, FRS, GMRS, Kenwood, Motorola, RDU2020, Icom, CLS1110, CLS1410, TK-3230, TK-3300, Blackbox, retail, retailers, Plus, +, IC-F4011, XLS on April 16, 2012 by Rick. We discuss the use of two way radios in the restaurant industry. We also review the Motorola CLP1040 business radio. we talk about using two way radios in restaurants. We'll discuss the advantages of using them, the types of radios used, and offer some recommendations when choosing radios and accessories for use in restaurants. Radios discussed include the Motorola CLS, Motorola CLP and Kenwood TK-3230 business radios, and wireless intercoms. For more information, visit Two Way Radios For Restaurants. Today we review the Motorola CLP1040 business radio. This entry was posted in Two Way Radio Show Podcast and tagged UHF, VHF, Kenwood, Motorola, DTR410, DTR550, CLP1040, CLP1010, CLS1110, CLS1410, TK-3230, Ritron, Jobcom, JBS-446D, intercom, restaurant on October 3, 2011 by Rick.